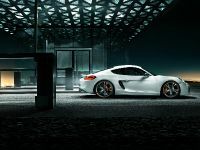 TECHART Porsche Cayman is the latest transformation of an exquisite model delivered by the specialists of the tuning company TECHART. 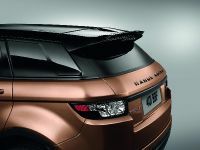 They have transferred the principles of sportiness and individuality with their typical design philosophy. 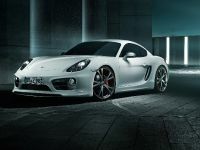 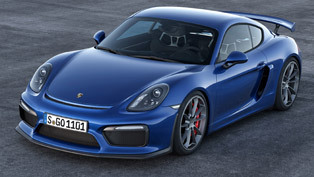 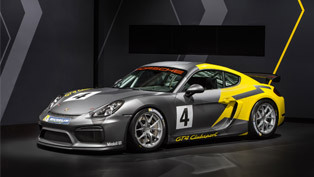 The exterior of this Porsche model includes a new front apron with a TECHART two-part front spoiler, integrated splitter as well as redesigned and enlarged central air duct. 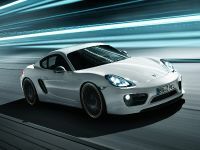 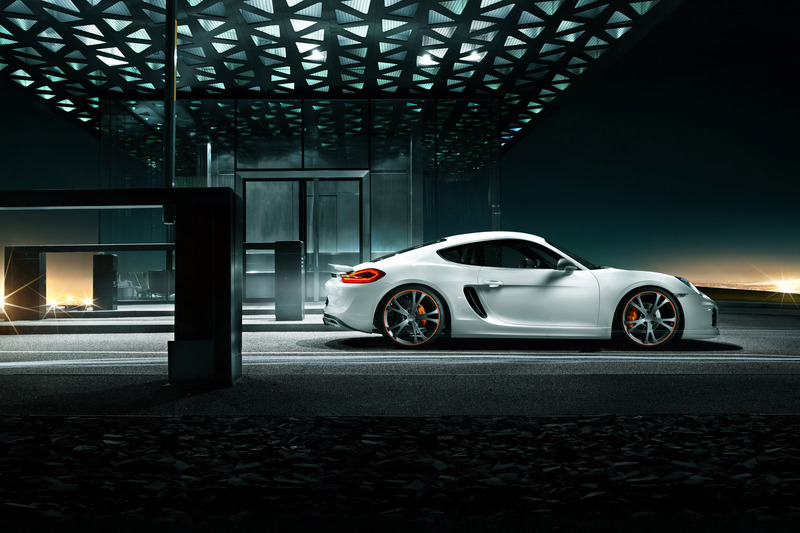 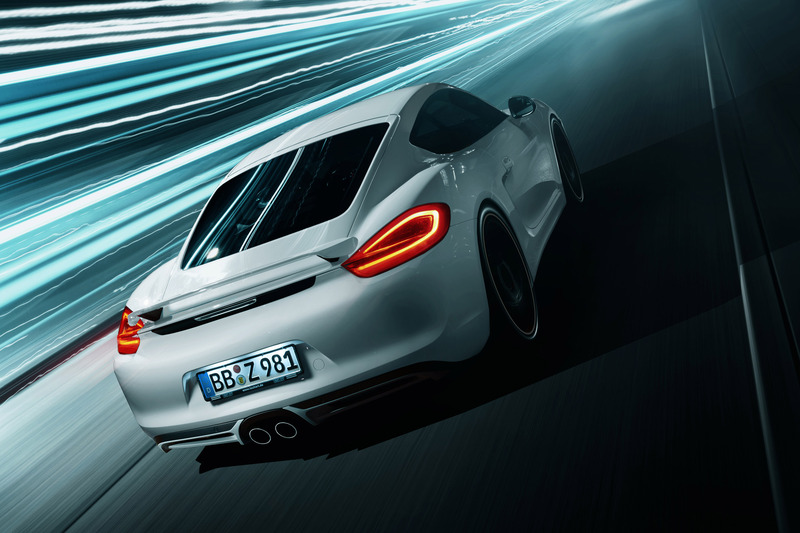 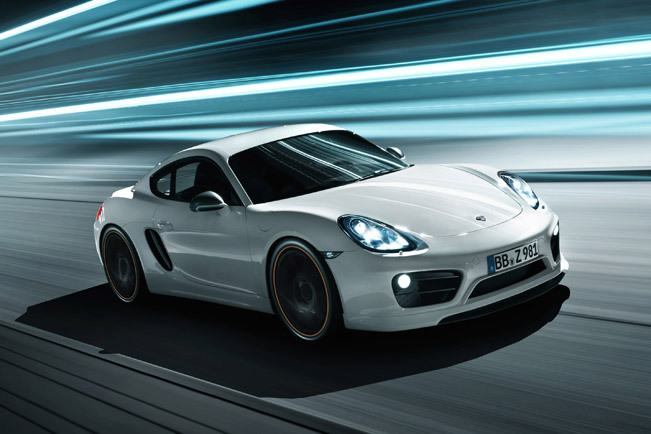 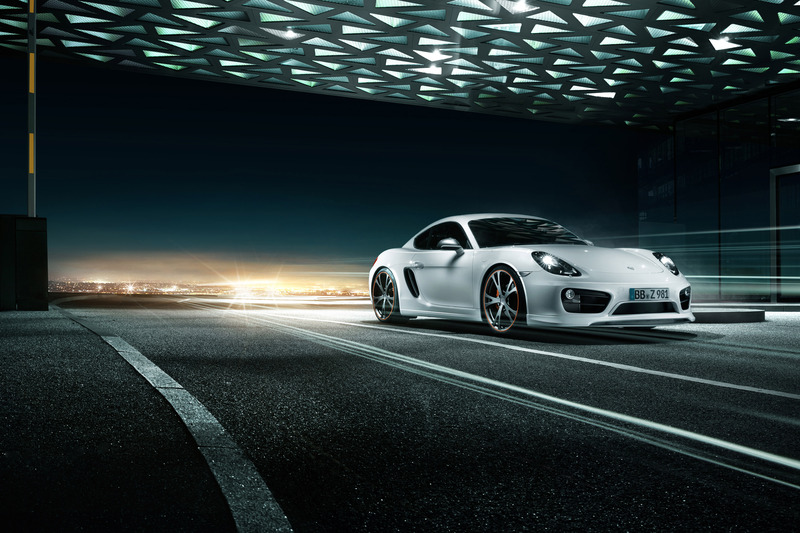 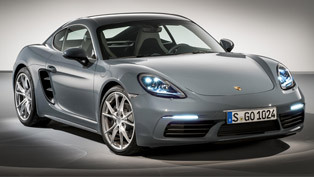 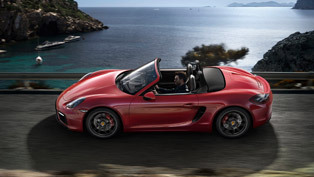 This results in more aggressive on-road stance of the Cayman. 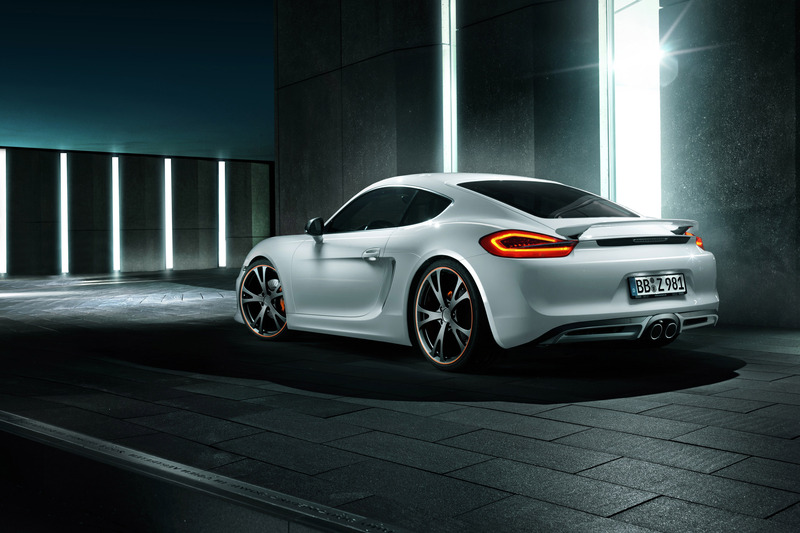 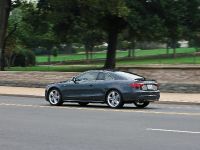 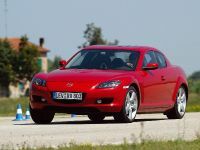 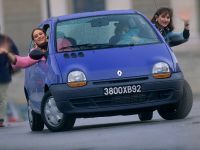 The rear of the car on the other hand is enhanced via trims at the side mirrors and upright fins in the side air intakes at the rear wheel arches. 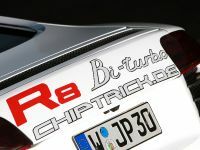 In addition, the combination of a fixed TECHART rear spoiler, a rear diffuser with TECHART diffuser trim and central TECHART sports tailpipes rounds off the cars new visual characteristics. 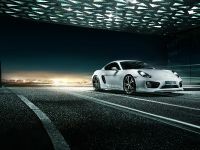 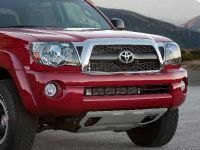 Furthermore, there also has been added an audible improvement thrrough a TECHART sports exhaust muffler, or there is an option to be included the new TECHART sports exhaust system with valve control. 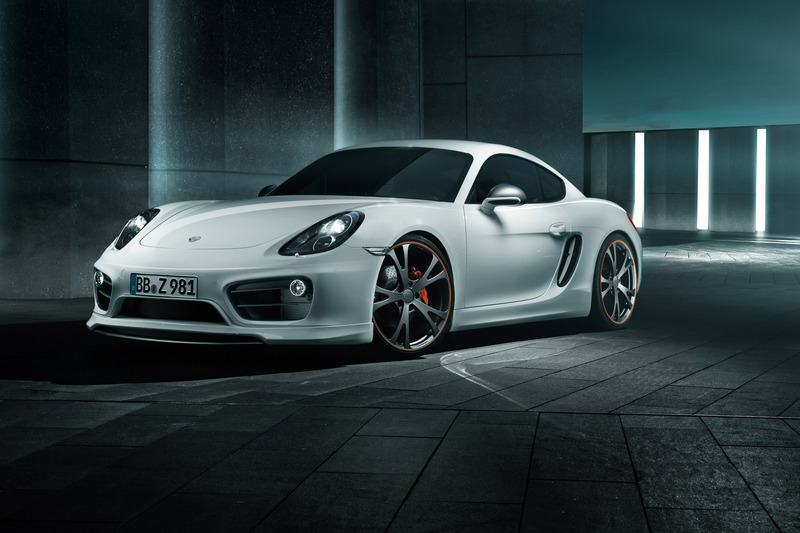 The aggressiveness of the car is further accentuated vie the TECHART wheels in 21-inch size. 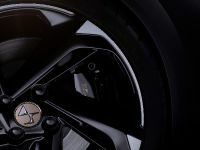 There is a chice between TECHART Formula light alloy wheels in classic 5-spokes design and the weight reduced TECHART Formula III forged wheels in dynamic twin-spokes design. 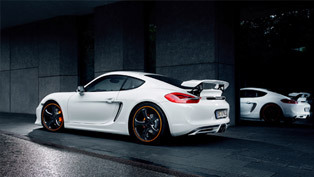 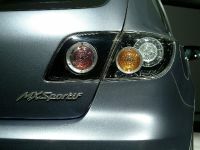 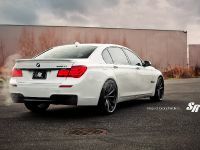 At last, the exterior features TECHART sport spring kit which lowers height of the vehicle by 35 mm. 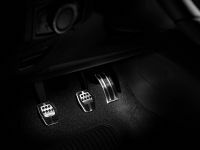 TECHART has also featured in this tuning program a handcrafted interior. 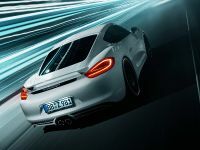 A full leather equipment is included which features decorative stitching, lacquered surfaces, carbon fiber trims and manifold interior styling package. 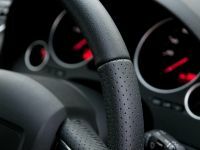 TECHART 3-spokes sport steering wheel with ergonomically mounted TECHART paddle shifters is one of the highlights here and it offers precise vehicle control and allows sporty gear changes in combination with maximum driving pleasure.